Spray counter lightly with non-stick cooking spray. Combine rolls and roll into a 10×14-inch rectangle. Place in the bottom of a sprayed 9×13-inch baking pan. Poke dough several times with a fork to prevent bubbles from forming and pre-bake at 350 degrees F 8 minutes. Remove from oven to cool. Combine pecans, sugar, corn syrup, butter, vanilla and egg and mix well. 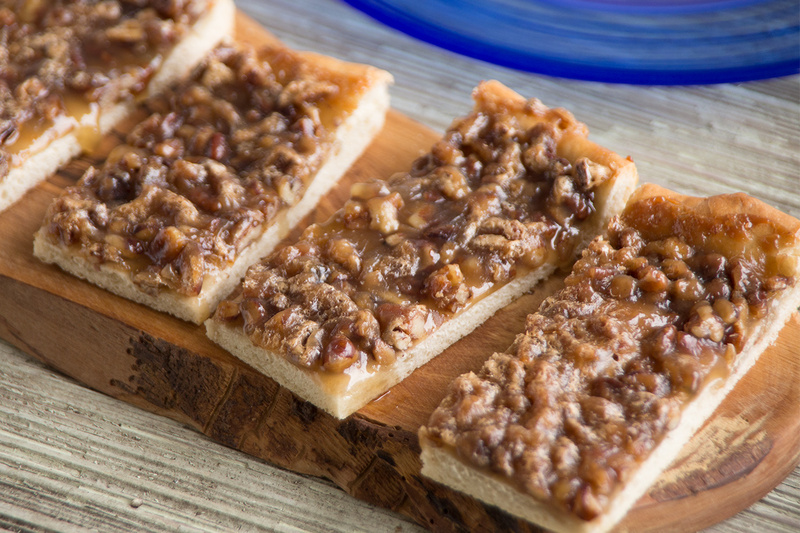 Pour and spread pecan mixture over crust and bake an additional 15-18 minutes or until golden brown. Cool and cut into bars.